The Department of Environment (DoE), Govt. of Delhi will be organizing the 8th Vacation Programme on Environment Resources (VEPR) for Eco-Club students, in association with Aravali Foundation for Education, with the objective to expose the students to various environmental issues. 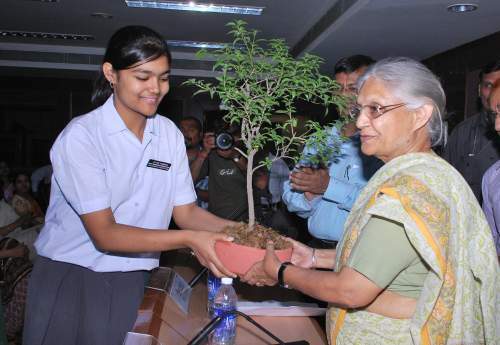 The Eco-Clubs Programme of the DoE is part of the National Green Corps (NGC) that has played an instrumental role in generating environmental awareness in the schools of college across the National Capital. Module 1 of VPER (comprising lectures and institutional/ field visits) will be conducted in December 2010. Module 2 (Outdoor Learning Camp) will be organized at a suitable location in the last week of March, 2011. The selection of participants for the programme will be based on the performance in Objective Type and Written Test followed by (if required) a Group Discussion exercise. The applicants have to be nominated by the respective schools to appear in the written test and not more than 5 nominations per school will be accepted for the purpose of the written test. Schools may conduct an internal screening exercise to select suitable students to appear in the written test, which will be conducted in English as well as Hindi. All the forms need to be routed through the school principal’s office and no more than 10 forms per schools will be accepted. Applicants should keep checking the DoE’s website for their Roll No., venue/time of the exam, etc. Only applicants who are shortlisted for group discussion will be informed individually. Those who have attended VPER in the past are NOT ELIGIBLE TO APPLY. nice programme – more young people should participate actively,till conserving environment becomes a fashion.